The 10677 dwt ro-ro Jolly Amaranto capsized and sank in port of Alexandria, Egypt while proceeding to be berthed. The vessel had earlier had been assisted when the vessel had a heavy list and lost it’s cargo of containers on its upper deck. The Jolly Amaranto was taken under tow back to Alexandria. In port, the vessel had water ingress and capsized. No reports of injury of the 21 crewmen onboard. 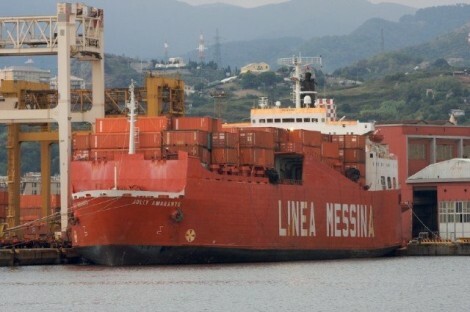 No reports to the cause, but it is presumed the cargo shifted resulting in the vessel capsizing.